On August 30, 1946, Theodate Pope Riddle, one of the nation’s first successful woman architects, died at the age of 79. The daughter of wealthy Ohioans Alfred Atmore Pope and Ada Brooks Pope, Theodate attended Miss Porter’s School in Farmington, Connecticut, during the 1880s, and fell in love with the town and its early American houses. Pope later designed Hill-Stead, a Colonial Revival mansion and family estate, and went on to create and found Avon Old Farms School. Her parents were major collectors of Impressionist art, and she, too, was a friend and patron of artists and writers. Her circle included novelist Henry James, artist Mary Cassatt, and pioneering landscape architect Beatrix Farrand, who designed Hill-Stead’s beautiful Sunken Garden. In her long and accomplished life, Pope survived the wreck of the British ocean liner Lusitania in May 1915, founded schools, and carried out architectural commissions. A year after the wreck of the Lusitania, in which her maid and traveling companion both perished, she married diplomat John Wallace Riddle, and the two traveled the world. 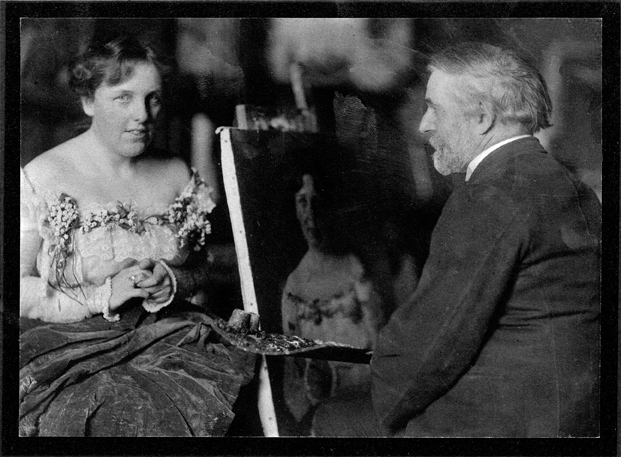 In her will, Pope Riddle specified that Hill-Stead become a museum as a memorial to her parents and that the house and its contents be maintained precisely as they had been during her life. Today, the National Historic Landmark and its extensive grounds are open to the public and home to a nationally regarded poetry festival.